The 2018-19 Boston Celtics might be getting ready for a run at a banner this season, but more than a few of the players who pushed the team in that direction in seasons past will be suiting up on other squads this fall, some of them with Boston's most likely challengers for a ring. 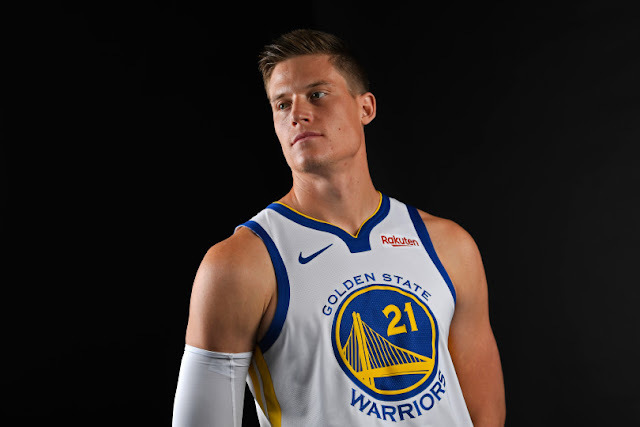 Jonas Jerebko signed a deal to play for the Golden State Warriors after the Utah Jazz decided to move on from his services, and Gerald Green re-signed to play for the Houston Rockets. Greg Monroe found a home with the Toronto Raptors after his era in green and white fizzled, and Amir Johnson and Jerryd Bayless are sticking around with the Philadelphia 76ers. Jeff Green (and Austin Rivers, if you count his incredibly brief, non-playing time as a Celt) are now with the Washington Wizards, and Ante Zizic is the only contract left on the Cleveland Cavaliers from the deal that brought Kyrie Irving to Boston. While we're on the topic, Isaiah Thomas is now with the Denver Nuggets, and Jae Crowder the Jazz. Another former Celt who found himself on the move before last season is Avery Bradley - no longer a Detroit Piston, he's currently with the Los Angeles Clippers. Speaking of blockbuster trades, one-time trade ballast and current overseas rehab star MarShon Brooks looks to have earned a spot with the Memphis Grizzlies, and Tyler Zeller has found a home in the Milwaukee Bucks front court. Kelly Olynyk is still pump-faking chumps out of their shoes on the Miami Heat, while Evan Turner and Courtney Lee hold down the wings for the Portland Trailblazers and New York Knicks, respectively. Are there any active ex-Celtics in the league I missed? Let us know in the comments below.